Tomorrow Barclays bank branches around the country are going to be targeted by UK Uncut, the direct action group opposed to the Coalition government’s cuts. Its latest plan aims to invade bank branches and turn them into community units which face closure like libraries and a mothers’ breakfast club. I hope no one proposes to put childrens’ safety at risk, as there is always a chance of things turning nasty. Generally, I don’t approve of ‘stunts’ to further political aims – usually they achieve nothing, promote disorder, and divert police resources. My dilemma is UK Uncut has a point. However wrongheaded and impossibly idealistic are this band of youthful activists, they strike a popular chord. Banks are in the doghouse nationwide for good reason. “There are alternatives to the cuts, for example, making the banks pay for a crisis they created or stopping tax dodging by corporations and the rich,” says the group’s website. It could never happen – there’s no way an industrialised country can step outside of the mechanics of the market – especially one as indebted as the UK. But Barclays and the police had better handle UK Uncut demonstrators with kid-gloves – tear gas was used at a Boots demo – because they are on the fringes of a nationwide antipathy towards the banks. 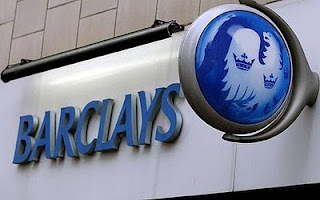 Barclays cause was not helped last night with news the bank paid corporation tax of just £113 million on annual profits of £4.85 billion back in 2009. Even allowing the bank’s defence – the weight of its exposure overseas etc – it still looks a remarkably low bill. The recently announced Project Merlin squeeze on the banks by the Coalition earned a few squeals from the sector but left unscathed the biggest scandal of all – City bonuses. But the initiative was lost by the Labour government when it had the banks by the throat in the 2008 financial crisis. Barclays was just as much a beneficiary of the bailout by taxpayers even if the State didn’t take a stake.